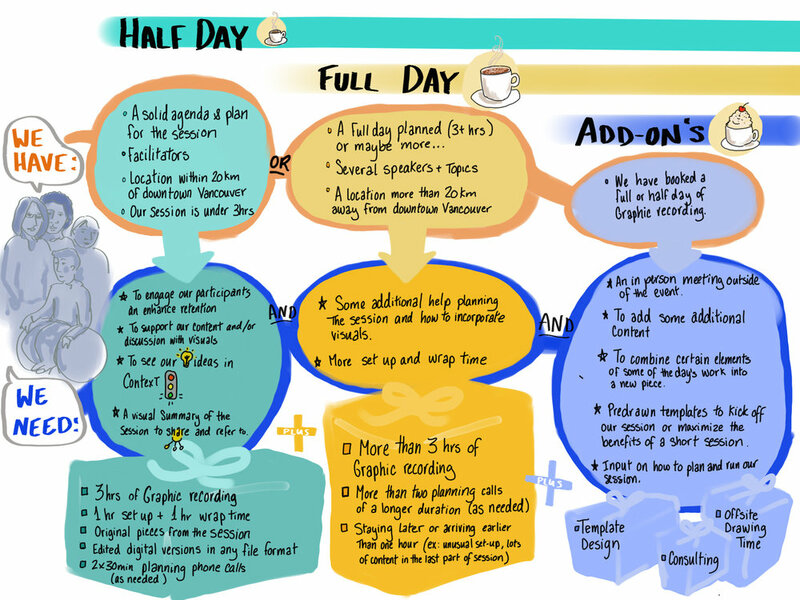 A description of billing and available packages for graphic recording services and graphic facilitation in Vancouver BC, Penticton, and the okanagan, and kootenays. Live graphic recording is billed per day. Here is a menu of what is included in a half or a full day, and what you can add on for a separate fee. I keep it flexible so that we can create the exact package to suit your particular needs. Please contact me with your project details and budget for an exact quote. Studio projects, infographics, illustration, and video are all unique and special. I'm happy to provide you with an estimate based on your project specifications.